At the Thorens factory, for most vintage models they used a straight SAE 20 wt. turbine oil. There are all kinds of other oils on the market, but if you want what Thorens intended, just go to your local hardware store. 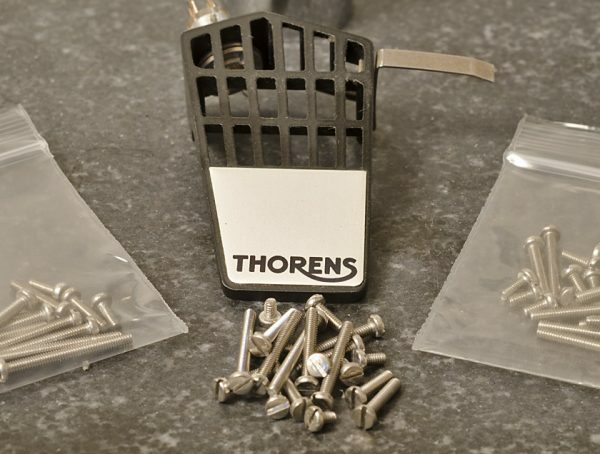 Thorens used a cartridge mounting screw size that’s sometimes difficult to find. Many people offer kits, but Steve Clarke of The Analog Dept offers the best. 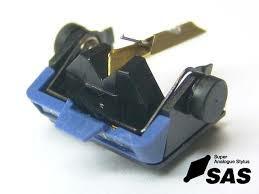 Click the link: The best source for Thorens cartridge mounting screws. 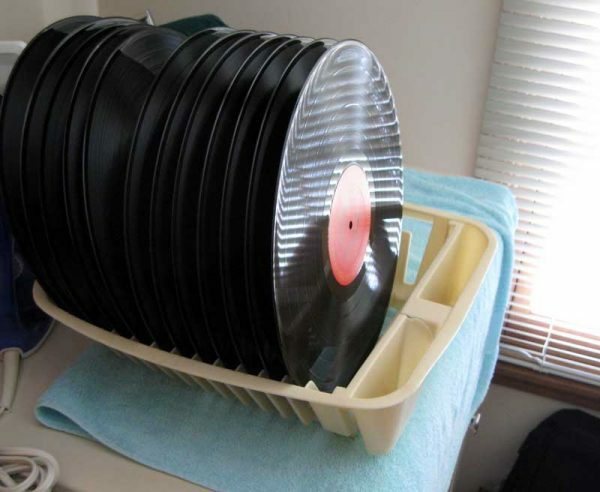 One of the questions I get asked most frequently is how do you clean (deep clean) your records. It’s an extensive topic with many opinions. This thread at Steve Hoffman Forums is a good place to get started. One thing I will add is that once I finally bought a record vac, I wondered why the heck I had waited so long; if you own a lot of “yard sale” records it is indispensable at getting them into playable condition. With mixed feelings, I must withdraw my endorsement of Thorens 16X armboards made by Sound Supports based in the UK. I have been using Shaun’s armboards for over a decade, and in terms of customer service and one small business understanding another, the relationship has been outstanding. However, in terms of the Thorens armboards which they currently offer, their two-piece design held together with just an adhesive, is no longer something I deem sturdy enough to endorse. 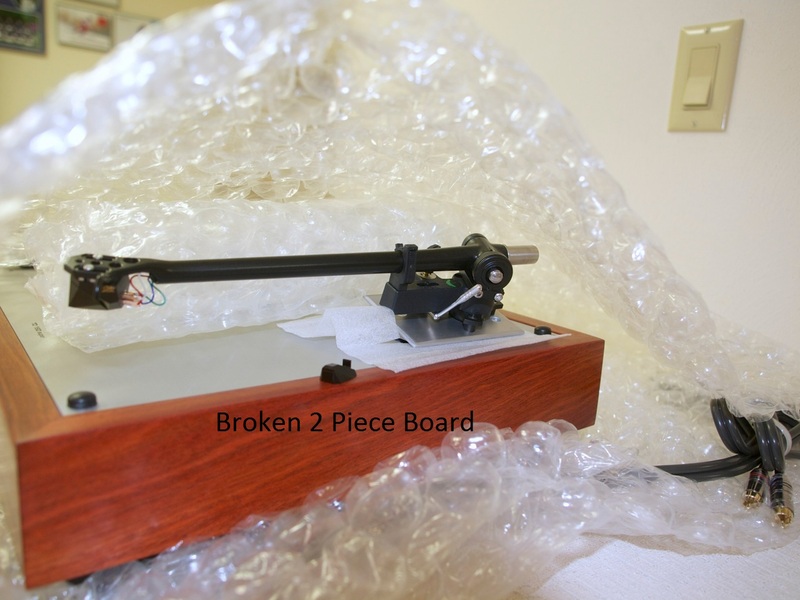 Over the course of the last decade, there have been three instances where the two pieces of the armboard separated, resulting in extensive damage to the turntable, tonearm, and cartridge. Unfortunately, two of these instances happened just in the last six months. In each case Shaun was kind enough to replace the board itself free of charge, however, I lost hundreds of dollars on each transaction. 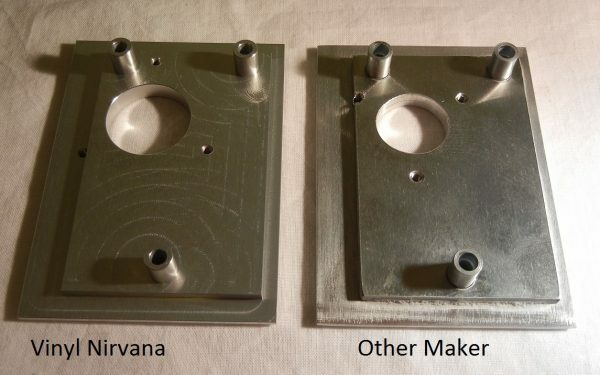 As a result, working closely with a local metal manufacturer here in the US, I have begun to have manufactured a one-piece design in solid aircraft quality aluminum. They not only look amazing, but they are impossible to break under turntable use or turntable shipping conditions. As a result, beginning today, all of my restored turntables with custom arms will be shipped with these armboards. 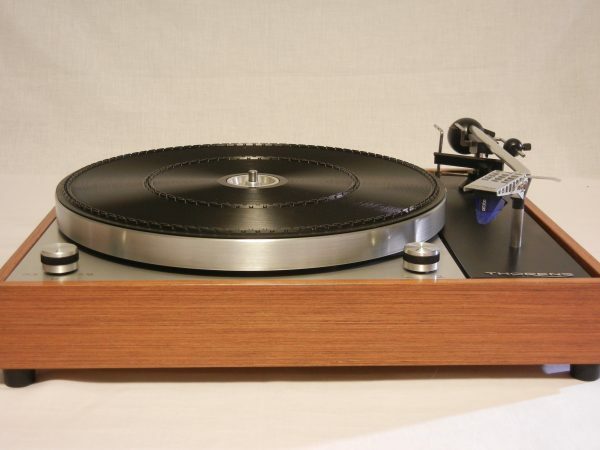 At this time, I am only offering boards for three models: Rega with single hole, Rega 3-point design, and SME. All will be available in my eBay store, and eventually on my sister website Vintage Thorens. The introductory price, available through December 31, is exactly the same as what one would pay to have a Sound Supports board shipped from England. 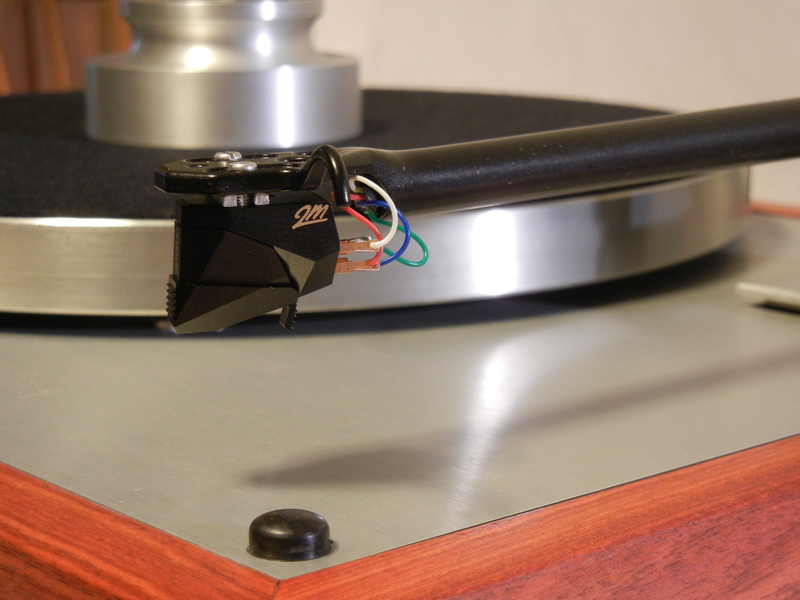 See the youtube video below for a short illustration of how to remove the stylus guard on an Ortofon 2M Black, Bronze, Blue or Red Phono Cartridge. These break frequently, but perhaps my video will help you to keep yours intact! If you’re looking to purchase a Thorens at a reasonable price, I can’t recommend the TD-150 MKII highly enough. (I’ve also written about this in my blog) This model was the precursor to the TD – 160. It shares with the 160 a 10mm bearing shaft, a heavy outer platter, and a three-point suspension. The tonearm looks clunky, but is actually capable of producing outstanding sound once you learn its idiosyncrasies. Google “Kugel” arm, and you will see many sing its praises. If you are going to purchase one, be aware that all of the doodads on the arm, if missing, can easily add up. However, if instead like to replace the tonearm, the relatively simple armboard design makes it a do-it-yourself task for most modestly experienced woodworkers. Prices for these great tables are often under $200. A small but very important part of my restoration process for a stock Thorens unit such as the TD-160, TD-165, or TD-145 is replacement of the headshell leads. On the TP-16 headshell, this is a very do-it-yourself operation that yields great sonic results. Sometimes it is truly like lifting a veil from the music. All it really takes is a pair of tweezers (or fine needlenose pliers), a new set of leads, some Deoxit, and some patience. If your leads have never been changed out, you will be amazed at what 40 years of tarnish looks like. The metal portion will be black. Take note of the order of the old leads, remove them, and then clean all of the contact surfaces with the Deoxit. Let those dry, and then install the new leads in the same fashion. 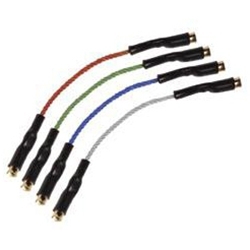 Occasionally, you’ll find a lead connector needs to be crimped or expanded. For crimping, I use the needlenose pliers and a very light touch. For expanding, you can use a small brad, again with a light touch. Don’t forget to also clean the headshell to tonearm connectors, though they are typically not as tarnished, it’s a good idea to remove what is there. Then, sit back and enjoy. I think it’s because this is the first signal path from the cartridge, but it really makes a remarkable difference. You can find headshell leads costing from a few dollars to over $100. I would just make sure that they are gold-plated (to reduce later tarnish) and highly flexible. Final cost is up to you. Having a small lint roller near your audio rack can be helpful. If you are using a stiff felt mat, the roller does an excellent job removing dust and other particles from your mat. Likewise, if you clean off a particularly dusty record with your carbon fiber brush, the lint roller is a quick way to get those particles off the brush and prevent them from floating around the room. Finally, the brush is handy for cleaning fabric speaker grilles, especially those black ones that show every speck.